The first CD in this 2CD set (54 tracks) has many early Skatalite tracks not readily available. 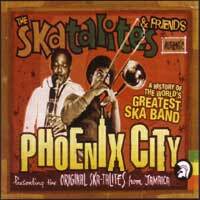 This would be a good starter for a new Skatalites collector, not much apart from the first CD for the seasoned collector. A nice package from Trojan TJCCD160.